The below invitation for participation is being posted on behalf of the researcher. If you are interested in participating, be sure to reply directly to Ms. Strassberg via her email address below. PEAR is not sponsoring or otherwise involved in the research project or its funding, we are posting this purely as a public service in support of improving pre-adoption services and education. I invite you to participate in a study of adoptive parents that focuses on your pre-adoption decisions. I hope to gain a more accurate picture of the decision making process involved in international adoption, particularly surrounding the choice of birth country. I am looking for parents who have adopted a child internationally within the past 25 years from three different geographic areas: Africa and the Caribbean Islands, Eastern Europe, and Latin America. I am asking parents to participate in a phone interview that will last about one hour. To compensate you for your time, I will provide an online $15 gift certificate to a store of your choice. If you are willing to be interviewed, please let me know, and I will get in touch with you to arrange a time to talk by phone. I am a senior Psychology and Education major at Mount Holyoke College. My cousin was adopted from Ethiopia, and my cousin's struggles though the decision-making process of where and how to adopt led me to this investigation. This study is my senior thesis project, and I am working under the direction of my thesis advisor Patricia Ramsey, who is an adoptive parent. The pre-adoption decision-making process has not been studied in depth. It is my hope this project will provide a better understanding of adoptive parent's choices and lead to better services and guidelines for supporting families through these decisions. Participants, please send me an email if you wish to participate at stras20s@mtholyoke.edu or leave me a message at (617) 680-9086 so I can schedule an interview time. Thank you very much for considering my request, and please contact me or my advisor Patricia Ramsey (pramsey@mtholyoke.edu) if you have questions. If you have friends who might be willing to complete this survey, please send them my email or send their email addresses to me. The video is quite powerful. We recommend that adoptive and prosepctive adoptive parents not only view the video, but examine the circumstances surrounding the availability of children for adoption. Educate yourselves on where and why a child becomes available for adoption, what role we as adoptive parents play and what steps we can take to ensure that our desires for a family do not unwittingly (or purposefully) perpetuate political, cultural or religous injustices that separate families. In addition to examining the reasons behind relinquishments, please keep in your heart your child's need to know their full story. Do not underestimate the powerful need for this. Be careful and mindful of processes that may deny access to identity, history or heritage. The Department of State has seen a recent increase in U.S. citizens seeking to pursue adoptions in Haiti through independent agents instead of licensed adoption providers. While these “private” adoptions are currently permissible in Haiti, prospective adoptive parents should be aware of the risks associated with not utilizing experienced, licensed agencies. Non-licensed facilitators may lack experience in navigating the complex Haitian adoption process, and this could lead to delays and critical mistakes in processing the case. Haitian facilitators may also not be familiar with U.S. immigration law governing intercountry adoption processing. Prospective adoptive parents pursuing an independent adoption may place their trust in private facilitators engaging in unethical or illegal practices in Haiti. The Department strongly encourages prospective adoptive parents adopting from Haiti to research U.S. immigration laws and Haitian adoption procedures through the use of a reputable, licensed agency or experienced facilitator. For more information about intercountry adoption in Haiti, please visit our website at: http://adoption.state.gov/country_information/country_specific_info.php?country-select=haiti. Under current South Korean law, prospective adoptive parents don’t need to undergo criminal background checks. Moreover, agencies counsel unwed mothers, whose children comprise almost 90 percent of adoption placements, to sign illegal paperwork consenting to adoption even though their children are still in their wombs. The new bill proposes urgent revisions to change these realities and stipulates a court process for adoption, a cooling off period for child surrender without duress, and the documentation of identities, among other provisions. "What makes this reform effort distinctive is that [it] is neither the result of a top-down process nor a powerful adoptive parent lobby,” says tammy ko Robinson, coalition member and professor at Hangyang University. “This bill is co-authored and informed by those of us who have been directly affected by this law.” The bill is a coalition effort that includes Adoptee Solidarity Korea (ASK), Korean Unwed Mothers and Families Association (KUMFA), and several other groups. Years after their sons and daughters were 'stolen' and adopted abroad without their consent, a number of Vietnamese parents have finally been shown proof the children are alive and well. Now, their poor hill-tribe villagers face a moral dilemma. The Bulgarian Ministry of Justice released a list of accredited organizations to mediate intercountry adoptions on June 20, 2011. The list can be found here: http://www.justice.government.bg/new/Pages/Adoptions/Default.aspx?evntid=SK5O1lunRPk%3d , scroll to and click on Информация за действащите акредитирани организации, получили разрешение от министъра на правосъдието за посредничество при международни осиновявания /актуализиран на 20.06.2011г./ then use a translation tool such as Google Translate to read. PEAR recommends that prospective adoptive parents use only those agencies that are accredited under the US Hague Regulations (http://adoption.state.gov/hague_convention/agency_accreditation/agency_search.php) who work with one of the agencies accredited by the Bulgarian Ministry of Justice. We also highly recommend that prospective adoptive parents thoroughly research any agency before signing a contract. 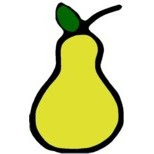 A guide to researching agencies can be found on our website: www.pear-now.org, select "Projects & Positions", scroll to Guide to Researching US Adoption Agencies. On September 23 and 24, 2011 Coordinators2inc will bring together adoption professionals, academics, students and those personally affected by adoption will meet at the University of Richmond School of Law, Richmond VA.
Presenters and attendees will have opportunities to discuss, from multiple viewpoints, adoption as a lifelong process. We do not intend for this symposium to only discuss open adoption nor to only discuss adoption from a positive or negative perspective. We will have a wide range of perspectives to give a full view of the complexity of the issues and to allow attendees an opportunity to consider adoption from another perspective other than their own. Attendees are expected to be adoptees, first/birth parents, adoptive parents, adoption professionals, therapists, researchers, educators, media professionals, advocates, attorneys, policy makers and legislators. Registration is $85 for both days, lunch included. Special Advisor for Children’s Issues, Ambassador Susan Jacobs, will visit Haiti June 22 – 24 to discuss how the United States can support Haiti in its efforts to join the Hague Adoption Convention. The visit to Haiti will mark the second round of meetings hosted by the Governments of France and Canada that began in Montreal in December 2010. The United States, together with other countries and international and non-governmental organizations, support Haiti’s efforts to initiate adoption reform consistent with the Hague Adoption Convention. The Ukrainian State Department on Adoptions (SDA) informed the US Embassy this morning that beginning July 11 SDA will no longer have the authority to process adoption cases. This will likely result in a temporary suspension of adoptions from Ukraine. The Ministry of Social Policy will take over as the new adoption authority in Ukraine, but does not yet have Cabinet approval to create a staff and begin processing cases. The Ministry does not yet know when they will be able to resume adoption processing. The amendments to the Ukrainian Family Code mentioned in the previous adoption alert will also go into effect on July 11. We will ask the Ukrainian government to resume adoptions as quickly as possible. We will also continue to encourage the Ministry of Social Policy to protect adoptions where U.S. prospective adoptive parents have already been approved by the SDA to adopt a particular child. According to SDA, there are now 139 U.S. families registered with the SDA, some of them already in-country. We will be following new developments closely to understand how it will affect the families currently in process and will be posting relevant updates. In that respect. we recommend that all American families that are currently in Ukraine or have appointments with SDA during the next few weeks send their contact information to the U.S. Embassy in Ukraine’s Adoption Unit at: kyivadoptions@state.gov. Families should contact their local adoption service provider for further updates and details. The Office of Children’s Issues announces that it has delivered a letter of understanding to the CNA that confirms the U.S. Government's role in the CNA’s proposed framework for processing its transition cases to conclusion. We await the CNA's response and will provide updates as they become available. Intercountry adoption is not possible from Vietnam at this time. Adoption service providers and prospective adoptive parents should not seek or accept new (or potential) adoption referrals from Vietnam until an announcement is posted that the United States Citizenship and Information Service (USCIS) is again processing new I-600 or I-800 petitions for intercountry adoption in Vietnam. In June 2010, the Vietnamese legislature passed a new adoption law which took effect on January 1, 2011. The Vietnamese Prime Minister subsequently signed the new adoption decree on March 21 which took effect on May 8. Vietnam continues their efforts to implement the new law and achieve Vietnam’s stated goal ratifying the Hague Convention on Protection of Children and Co-Operation in Respect of Intercountry Adoption (the Convention). Vietnam signed the Convention on December 7, 2010 and has expressed its intent to ratify the Convention in July 2011 which means that the Convention would enter into force (and Vietnam would become a party) in November 2011. Under U.S. law, if/when Vietnam becomes a party to the Convention, the United States Central Authority (USCA) must evaluate whether procedures leading to the adoption of a child in Vietnam conform to the standards established by the Convention and the U.S. Intercountry Adoption Act (IAA). The United States recognizes Vietnam’s initiatives as significant developments in the renewed commitment by the Government of Vietnam to strengthen its child welfare system and the integrity of its domestic and international adoption process. Nevertheless, adoption service providers and prospective adoptive parents are cautioned that important steps must still be taken before Vietnam completes this reform process and before intercountry adoptions between the United States and Vietnam can resume. The USCA cautions adoption service providers that they should not offer or appear to offer adoption services in Vietnam until specific adoption service providers have been accredited or otherwise approved by the Government of Vietnam. In addition, under applicable U.S. regulations, accredited or approved adoption service providers may only provide services in a Convention country if the USCA has determined that the Convention country is compliant with Convention standards. The United States welcomes Vietnam’s strong efforts to create a child welfare system and an intercountry adoption process that will meet its obligations under the Convention. At this time it is not possible to estimate when adoptions between the United States and Vietnam may resume. Erin Siegal of Finding Fernanda, has posted a link to the video from the “Stolen Children: Illegal Practices in International Adoption and the Need for Reform” conference at American University’s Washington College of Law. In October 2008, the previous government of Kyrgyzstan halted all intercountry adoptions in response to allegations of corruption and illegal processing. The new government has not yet implemented a new processing system, and at this time it is not possible for new intercountry adoption cases to move forward. The Department of State continues to reach out to the Kyrgyzstan government in an effort to seek a resolution for US citizen prospective adoptive families who were in various stages of the process prior to adoptions being suspended. A draft Law amending the Family Code to enable the government of Kyrgyzstan to establish new adoption regulations has passed its 2nd and 3rd readings in the Kyrgyz Parliament. President Otunbaeva signed the Law on May 6, 2011 and tasked the Government to bring legislation into conformity with this new Law within 3 months. At this time, we are unable to estimate when new adoptions from Kyrgyzstan may resume. Updated information will be provided on www.adoption.state.gov as it becomes available. On April 14, 2011, the Office of Children's Issues (CI) met with: Elizabeth de Larios, President of the Consejo Nacional de Adopciones (CNA); Marilys Barrientos de Estrada, and Fernando de la Cerda of the Guatemalan Embassy in CI's office in Washington, DC. Ambassador Susan Jacobs, the Director of Children's Issues, the Adoption Unit Chief, and other CI adoption unit staff represented the CI in the meeting. The U.S. Citizen and Immigration Services (USCIS) Deputy Director of International Operations Division, Wally Bird, attended as well. Representatives of CI and USCIS expressed the U.S. Government's (USG) interest in resolving the estimated hundreds of grandfathered adoption cases. We specifically raised concerns regarding cases under CNA processing authority, which have been stagnant since mid-2010. The CNA stated again that cases placed under its authority must be processed in accordance with the December 2007 law, which requires the CNA to seek biological and domestic placement options prior to approving an intercountry adoption. In addition, the CNA also informed us that many of the cases it has reviewed do not meet other procedural and substantive requirements of the new December 2007 law. CI pointed out that the December 2007 law provided for continued processing of transition cases. Specifically, Article 56 of the December 2007 law states that cases in progress prior to December 31, 2007, and registered by February 1, 2008, may proceed pursuant to processes in place at the time of case initiation (notarial). CI expressed concern that cases that have been under CNA processing for over 3 years are now no longer being treated as transition cases. While we respect the CNA's right and responsibility to apply Guatemalan law, we urged the CNA to continue to move forward on these cases, in the best interests of the children. During the meeting CI also provided CNA with a draft letter of assurance that U.S. immigration process is available for CNA cases that meet U.S. grandfathering provisions. We had committed to providing this letter during our meetings in Guatemala in March 2011. CNA President De Larios reviewed and generally agreed with the language of the letter, but requested several additions. Both parties concluded that a single letter could cover the group of cases identified as ready to move forward. Following the April 14, 2011 meeting, the Director of the Office of Children's Issues finalized a letter of assurance, which incorporated CNA's previously stated expectations. The Consul General delivered this letter to the CNA on May 5, 2011. However, the CNA responded that it required additional language on four new points. CI is expeditiously working on a revised version of the letter addressing CNA's new requirements. The CNA advised that it has identified 9 cases as ready to proceed once they accept the language of the letter. They also indicated that there are 27 total cases with 31 children under CNA processing authority. The CNA repeated its previous statements that not all cases under its authority will be able to proceed to intercountry adoption and that it will notify U.S. citizen prospective adoptive parents with cases that cannot proceed. Ambassador Susan Jacobs travelled to Guatemala from April 24-27, 2011 to attend meetings with a delegation led by Senator Mary Landrieu of Lousiana. The delegation attended meetings with: Ministerio Publico (MP); the Comisión Internacional Contra la Impunidad en Guatemala (CICIG); the Procuraduría General de la Nacion (PGN); CNA; Guatemalan President Colom; and members of the Guatemalan Congress. Senator Landrieu expressed her desire for the pending adoption cases to be resolved and children placed with the U.S. families with whom they had been matched. Guatemalan authorities have advised us that the working group (known as the "mesa tecnica" in Spanish) has continued to meet weekly. The U.S. Embassy continues to communicate with each of the institutions that participate in the working group on a regular basis. 2 cases were completed and the child is already in the U.S.
3 of the cases did not meet transition requirements. Important note: The information provided was incomplete, somewhat unclear, and is unconfirmed. We have asked the CNA and the PGN to inform families directly of significant case developments, and have asked that the two agencies provide us with copies of the notices to families, so that we can ensure that families receive this information. To date, the two agencies have not provided us with copies of the notice to families of case specific decisions, but we continue to request it. Please note that the numbers represent only those cases that have completed ALL Guatemalan processing, including: receiving a final adoption decree; new birth certificate; Guatemalan passport; and for which a complete Form I-600 petition has been filed with and approved by USCIS. Only after all of these steps are completed, USCIS transfers the case file to the Consular Section of the U.S. Embassy for visa processing. The above figures represent only the numbers of cases which have completed ALL processing steps with Guatemalan authorities, USCIS- Guatemala, and the Consular Section. In the month of April 2011, USCIS Guatemala received final Guatemalan adoption documents for 2 cases AND approved 2 Form I-600 petitions. If the final documents do not provide sufficient information to establish that the child meets the definition of an orphan under U.S. immigration law, USCIS Guatemala City issues a Request for Evidence (RFE). USCIS Guatemala received 11 sets of final documents in from January through April, 2011. CICIG announced in a press release that lawyer Susana Luarca Saracho was arrested in her residence on May 6, 2010 and charged with illicit association, trafficking in persons for the purpose of illegal adoptions, and use of false documents in connection with her involvement with Asociación Primavera. In addition, the CICIG press release announced that Alma Beatriz Valle Flores de Mejia, also connected with Asociación Primavera, was arrested on April 6 on similar charges. The link (in Spanish) can be found on CICIG's website at http://www.s21.com.gt/opinion/2011/05/08/adopciones-malas-interpretaciones. The U.S. Embassy in Ethiopia has received information from the Ministry of Women, Children and Youth Affairs indicating that processing of cases that received a court summons prior to March 8, 2011 is still ongoing. This exceeds their estimated 15-20 days to expeditiously process this caseload, as indicated in our April 5 notice. The Embassy also understands that processing of cases with court summons after March 8 is proceeding at 5 cases per day, and there is no indication that these numbers will increase in the short term. Prospective Adoptive Parents and parents awaiting final approval of their match from the Ministry of Women, Children and Youth Affairs are cautioned to anticipate continued and considerable delays and are encouraged to remain in contact with their agency for updates to their case. On May 11, PEAR published a list of reports on the emerging scandal involving the abduction of children for intercountry adoption. Continuing reports on the scandal have been published in May 2011 some of which are listed below. These reports include a piece in the Canadian Inside Politics Blog entitled Canadian Parents wary as China Confronts Baby Trafficking. PEAR member Cathy Wagner was interviewed for this piece. CBC News, Inside Politics Blog. Canadian Parents wary as China Confronts Baby Trafficking, May 25, 2011. Leslie MacKinnon http://www.cbc.ca/news/politics/inside-politics-blog/2011/05/canadian-parents-wary-as-china-confronts-baby-trafficking.html.